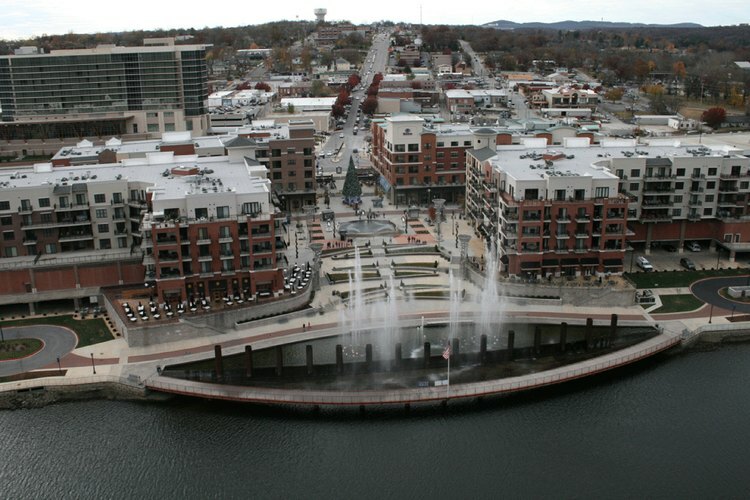 Nestled in the Ozark Mountains of southern Missouri, Branson is home to a variety of activities for the romantically inclined, from after-dark cruises to panoramic mountain vistas. Or snuggle up to your honey and enjoy the events for which Branson is most famous -- any of a number of musical acts from platinum-selling artists. Catch a picturesque view of the Ozark Mountains from Shepherd of the Hills Inspiration Tower, which rises 230 feet over its hilly perch. Two glass elevators affording views of the climb take you to the large enclosed observation deck. You'll be able to see more than 90 miles on a clear day, or you and your loved one can gaze at the stars after dark. The facility includes a gift shop and snack bar. The tower becomes festive in November and December, when it's decked out in Christmas lights in the seasonal Trail of Lights. 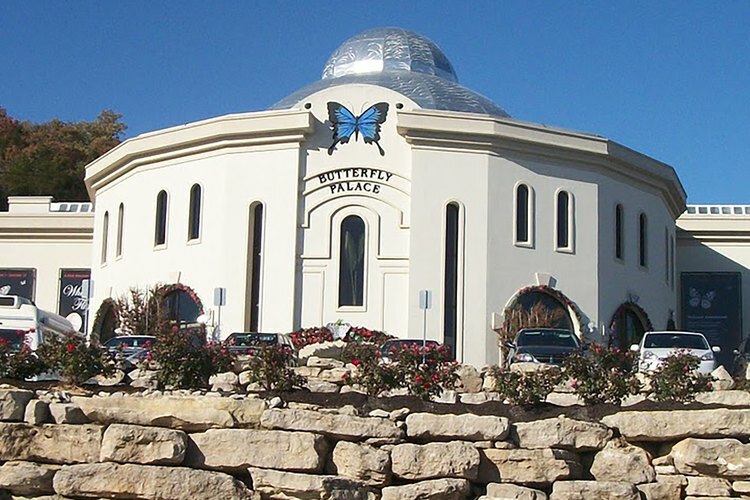 Take your beloved to the Butterfly Palace to get up close and personal with these beautiful insects. You'll walk through gardens that serve as home to the fragile creatures, as they fly around -- and occasionally on -- you. Or cuddle up on any number of benches along the route to admire the fluttering wings and colorful formations of each species. Admission also includes viewing a documentary about the annual migration of the monarch butterfly, as well as entry into the Rainforest Science Center, where you can learn about the ecosystem of that tropical biome, or playfully relive your childhood and chase each other through the Emerald Forest Mirror Maze. The question is lunch or dinner? On the Showboat Branson Belle, you can enjoy either, as the 278-foot-long paddle-wheel boat heads out onto nearby Table Rock Lake for a two-hour cruise where you and your sweetie can enjoy the breeze over the water while gazing at the sky or into each other's eyes. Each voyage includes a three-course meal served in the three-story atrium, featuring such dishes as honey-Dijon glazed chicken and lemon-berry torte for desert. Enjoy shows on board as part of your admission, from a men's show choir to acrobats to violinists. Entertainment changes seasonally.